An own EU action for digital villages or digital rural areas is very much welcomed, in order to permanently revive the rural areas as place of living and work or to get the pan-European problem of the rural exodus under control, explained the Salzburg representative Franz Schausberger in the recent plenary session of the European Committee of the Regions in Brussels. In the context of an opinion on “New Perspectives for Rural Areas through Digital Villages“, Schausberger also called for a simplification of the application for European funding, as there are only few projects in the ongoing Rural Development Program due to the complex nature of the requirements are able to reach a full grant application. In particular, access to finance for smaller, innovative projects that can be used at the local level should be debureaucratised. Access to strong Internet should be declared as a service of public interest at EU level, hence the ICT infrastructure is a crucial factor for the development potential of the regions. To meet the goal of the EU‘s Digital Agenda – across Europe, especially in rural and remote areas –connections faster than 30MB/s by 2020 need to be offered that the still large differences between urban and rural areas are compensated. During a debate with the EU‘s Commissioner for Competition, Margrethe Vestager, members of the CoR urged that rules allow local and regional authorities address social and economic challenges without being considered state aid. “Our role is to ensure that the European market is kept open and fair. And we need to make sure that citizens and entrepreneurs who have bright ideas are not kept out of the market by companies who receive state aid“, the Commissioner said. 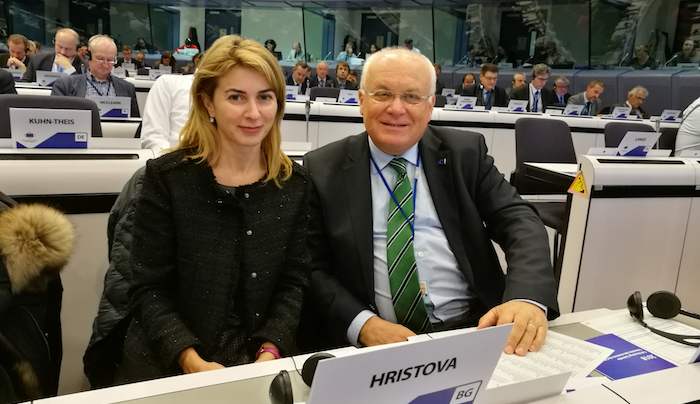 Tanya Hristova, Head of Bulgarian Delegation in CoR and Mayor of Gabrovo, reported about the priorities of the Bulgarian EU Presidency from 1st of January to 30th of June 2018. The focus would be on compromises in areas such as migration, the future of cohesion policy, as well as moving forward with the digital single market. Pierre Moscovici, EU-Commissioner for Economic and Financial Affairs, Taxation and Customs spoke at the CoR plenary session. “The euro area is now enjoying strong growth, but it still suffers from persistent economic and social divergences. These are unsustainable and risk fuelling political divisions. Our goal is not to build a transfer union, but a convergence union – one which more effectively marries responsibility and solidarity, risk sharing and risk reduction. I am convinced that these are two sides of the same coin“, Commissioner Moscovici said. CoR members underlined, that the reform of the Economic and Monetary Union should enable local and regional authorities to invest in Europe‘s future.